NOTE: I received a complimentary copy of this book from Stellae Books in exchange for an honest review. All thoughts are my own and a positive review was not required. I have really high hopes for this book… guys the author wrote Martin Hospitality (aka probably my favorite book in the universe!!) Josiah is the cutest and Gemma 😍 Plus FARRIS. Please. Before this turns into me fangirling over Martin Hospitality (wait it already has), let’s get started with the review. The synopsis of the book is from Goodreads. Andora is a beautiful young woman with insatiable curiosity. Raised in splendor, she is spoiled by her privileged life. When a love letter is slid under her door, her life takes a drastically unromantic turn. Nothing makes sense—her arranged marriage, the gifts her parents bestow on her wedding day, or her new husband’s temperament. As I read the book, I began to enjoy it more and more. Andora annoyed me so much at the beginning, but when she got married, I actually began to like her 🙂 By the time the novella was over, I was SO sad. I mean please can we have a sequel? SO GOOD. Knowing Abigayle Claire, I excepted little to no content issues, and I was right. SPOILER At the end, there are a couple kisses between Theus and Andora (who are married), but they’re not detailed. SPOILER Quite honestly, I can’t think of anything questionable in this book aside from a few very non-detailed kisses. There was violence SPOILER And in the end, death SPOILER, but it was not detailed in a gory way. I would recommend this book to girls and guys over age 11. While I think the story would appeal more to girls, I can see guys enjoying it as well. It took me 30-45 minutes to read the whole novella (while taking some notes for the review), but I do read pretty fast so this may take around 1 hour. Still, it’s definitely worth it! I don’t think anyone 10 or under would enjoy the story very much, but some kids might! I already knew that Abigayle Claire was a great author from reading Martin Hospitality (!!!! ), but Andora’s Folly confirmed that! I can’t wait for Abigayle’s next book, and like I said I’m hoping for a sequel to Andora’s Folly! It will probably never happen but a girl can wish right?? Anyway. Go buy this book! (you will not be unhappy with it!) Let me know what you think 🙂 It ends really quickly but you will enjoy it! How are y’all? I’m actually going to be announcing something super fun next Friday so that will be exciting! (If you are subscribed to my email list you know what it is… HINT HINT). Anyway, I recently won a giveaway that Megan hosted for a Snail Mail Kit from her shop, Peach and Poppy! I also filmed a short (actually not so short, around 14 minutes haha) video about my favorite things from the Snail Mail Kit. Check that out if you are interested, and if you can’t watch YouTube no worries! However if you can and like the video, I would be thrilled if you subscribed! I’m working on growing my channel and I would be super happy 🙂 No pressure though! The packaging… guys it was SO pretty! I didn’t want to tear it open but I’m so happy I did heehee. I don’t really know why I took this picture but I was determined to take pictures of EVERYTHING for this post! Guys. The colors. I actually saved all the packaging (i know!) because it was SO pretty. This is what the package looked like before I opened it up. I love the label on the front and it really makes Peach and Poppy that much more professional. Washi tape! Also I totally used these in my planner haha. The lighting on this picture is the actual worst but look how cute these binder clips and paper clips are! They’re rose gold and way prettier in real life. This string is such a fun pattern! I love the colors and I can’t wait to use it. Guys. Why was getting a picture of the three envelope/cards SO HARD. smh. The colors are bright and pretty, and I think that they are perfect for spring! These postcards are so pretty! I love the contrast of the colors and the pictures in general haha. O.o I love this scrapbook paper! The colors, the patterns, oh my word I’m never going to use it haha. I’ll just save it for the perfect use and lose it. Heehee. These little cutouts are so cute! I love the watercolor style. There were also a few cards about what was included, what to do with it, and just some really fun ideas! Wow! It’s a lot of work to blog twice a week, but so far (lol this is like the first week of doing this) I love it! Today’s post is basically going to be reviews of my favorite books that I’ve read recently. This is one of the categories of posts (book reviews) that you all really wanted to see when I asked– feel free to still comment on that post or comment what you’d like to see next on this post. Anyway, let’s get started with the post! This book. It’s certainly not fiction but I think everyone should read it. It’s the story of Kent and Amber Brantly, who were medical missionaries when an Ebola outbreak started. (Ebola is a super dangerous sickness that can be transferred through pretty much anything and almost always results in death). Spoiler alert: (don’t worry only the white text is a spoiler. Select it and then you can see.) None of the main characters die. This book is great (but it made me cry so much guys. 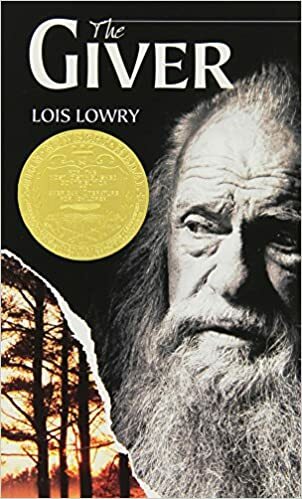 like I NEVER cry when I read…) and I really recommend it. It’s very medically detailed (but pretty easy to understand, and not super gross-you-out, if you know what I mean). The book cover for this is a little creepy (hello fish staring right at me) but the rest is ADORABLE. I love the colored letters (and I *think* they’re really significant in the book too). The name is based on the quote by Albert Einstein: “Everybody is a genius. 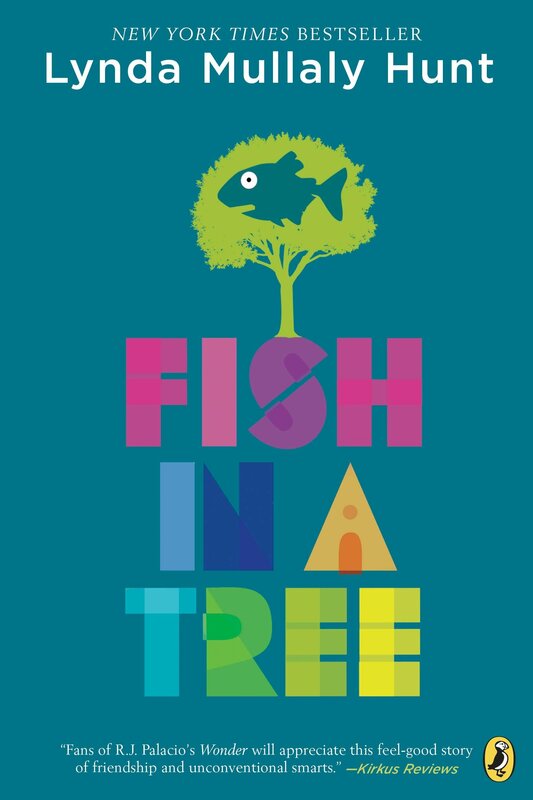 But if you judge a fish by its ability to climb a tree, it will live its whole life believing that it is stupid.” Agg this book is so cute. It’s geared for a younger (maybe upper elementary?) reader, but the story is so deep and sweet that it really doesn’t matter. 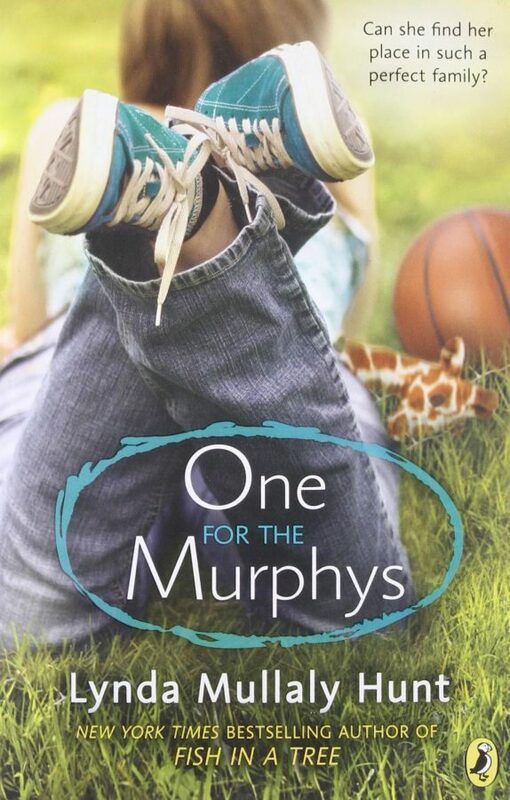 Ally goes through such a transformation in this book and learns to live without a label. Guys just read this book okay? Seriously, you won’t regret reading it. This book is great! It’s probably intended for like sixth grade (maybe? I guess?) but it’s another one of those books that is great for every age (at least 10, though). I wish a couple scenes were taken out (the bread//rolls scene, maybe all that extra stuff with Toni, and some of the scenes with Mrs. Murphy.) Other then that, this book was great- I would recommend it. I recently discovered a video for this book that’s super cute. It’s a group of 8th graders acting out the book, and it’s certainly not professional by any means, but it’s *pretty* true to the story and doesn’t take out that much. Anyway, if you want to watch it, check it out on this link: YOUTUBE LINK. Sooo… did you enjoy this post! I enjoyed writing (and reading) this. How has your past week been? Mine was good, but busy as usual. This week, I’m going to share my thoughts on my Plum Paper Planner (this is my third month using it). I’m really excited about this post! If you read my initial review post, you will know that I gave it a 4.8/5 stars. Pretty Has a nice cover- looks nice enough to have on desk. Yes! My planner cover looks great still, so this one is the same. Durable Not going to break or fall apart, will stay clean and won’t rip. Yeah… not so much. I’m pretty careful with my planner, but the plastic “mat” is really gross (but I haven’t tried cleaning it yet) and the pocket fell out. However, the other pages have stayed in (even the tabs, which I’m constantly pulling), and the binding is still fine. Inexpensive I don’t have tons of money, so under $50 was my goal. Was it worth the money? I’m going to say… YES! Good Size Doesn’t take up lots of room, but has enough room to write. I’ve been able to fit all of my assignments in perfectly, and it fits in my drawer neatly. Customizable Something that I can personalize to fit my needs and that doesn’t have extra pages I don’t need. Though I don’t actually like some of the categories I chose myself, I have been able to block them out with my gold brush pen. so i’m going to say that…. the plum paper planner IS worth it!!! One of these photos was taken on the 3rd and the other on the 8th. Can you guess which is which of course you can? I’m sure y’all have hear me talk about how much I love Omnibus, but today I’m going to unpack and critique it to find out what I really think about it. If I said it in 7 words, it would be “I love it, but it’s really hard.” Get ready, though, because today’s post is going to be MUCH more than 7 words. Welcome to your Omnibus ________ Self-Paced Course! document posted on this course page so you can look ahead. and for the final exam. (Omnibus Secondary courses have 105 lessons. Your grade in Omnibus ______ is based on various graded assessments. weighted more heavily than both. First of all, the difference between Omnibus Primary and Omnibus Secondary. They’re meant to go together, and if you complete them in the same year, you get History, Logic, and Reading credits for that year. Omnibus Primary is really deep and meaty, and really hard. There’s more lessons and the tests and quizzes are harder and come more often. However, Omnibus Primary is really important. I really enjoyed doing it but found myself getting not the best grades. Some of the books that are included in Omnibus 1 are The Histories of Herodotus (spent 5 weeks on that one) and The Last Days of Socrates (totally random off the top of my head). Omnibus Secondary is also quite deep, but honestly, more fun. In it, we read books like the Chronicles of Narnia and Till we have Faces (both by C. S Lewis!). It was hard, but the lessons were easier and there wasn’t so much packed into each lesson, which helped my grades a little bit. I enjoyed it more, but that’s to be expected. I recommend checking out VPSA.veritaspress.com to try out some sample lessons. I chose self paced, which means I could do it anytime, but didn’t have a live teacher. The lessons were prerecorded and included many interactive games and activites. The teachers talked to you, and you went on many field trips where the lessons were recorded in different places. For example, I’ve been to Greece MANY, MANY times, met President Obama (for real) and also met hundreds of other people. It’s super cool! I’ve raved over how much I love it, but here’s what I don’t like about Omnibus 1 Selfpaced. There was no live teacher. When I had a question or a problem, I had to figure it out on my own. Tech issues were hard to overcome. I was once stuck on a lesson for 2 days because there was a tech issue. I finally figured it out, however. You can’t repeat tests. The tests are also only 10 questions, so if you miss 3 questions, you get a 70. I have gotten that many times and it’s very discouraging! I recommend Omnibus 1. I will say that I was a little young for it but I loved it anyway. My grades weren’t awesome (81 and 86) which is very discouraging, but I know I learned a lot. I think that you should try the sample lessons to see how it would go. I know I’ll be doing Omnibus 2 next year! Pretty Has a nice cover- looks nice enough to have on desk. Durable Not going to break or fall apart, will stay clean and won’t rip. Inexpensive I don’t have tons of money, so under $50 was my goal. Good Size Doesn’t take up lots of room, but has enough room to write. Customizable Something that I can personalize to fit my needs and that doesn’t have extra pages I don’t need. Those were the 5 main things I was looking for in a planner. Here are some of the brands that I looked at on my planner search and why I did not choose them. This was too expensive, and I was looking for an academic planner, and they only have 6 month options for that. Great pricing, but I don’t want something that I have to set up. Those are just a couple of the many options that I considered. I searched practically everywhere. I was looking at reviews of EC planners when I stumbled across one review that compared the EC planner with another planner- the PP (Plum Paper) planner. The blogger compared them and marked the PP planner with a hands-down win. Intrigued, I googled ‘Plum Paper Planner’ and read many other great reviews. I checked out their site (it’s gorgeous!) and fell in love with their planners. One thing: There are SO many covers!!! I changed mine at least 12 times, then placed my order so that I wouldn’t have a chance to change it 14 more times, lol. Their covers are SO pretty and personalized online, now to see if they are the same in person! Basically, what I’m going to do is take my criteria and divide it up into sections. At the beginning, there will be an unboxing video! Check out the whole flip thru on my YouTube channel! Is the Plum Paper pretty? The cover is on point and it’s SO pretty! Camera can not capture how gorgeous the cover really is. For this one, I’m giving it a 5/5. The Plum Paper Planner is beautiful! The Plum Paper planner has great plastic covering on the front and the back covers, which protects them wonderfully. Aside from that, the cover is very durable itself, the paper is thicker than I expected, and the spine looks like it would stay in place for quite a while. My total for the cost was $36. This included the extra fee for personalizing the inside (the cover is no extra cost) and also for making the planner 12 months instead of 6! I didn’t purchase any extras, but if I had, I definitely could have stayed in budget. Again, a 5. The whole Plum Paper store is very affordable. My planner was not very thick, which was welcomed. I don’t want it to be heavy! It also is the perfect size. Plum Paper currently offers 3 sizes, but not every type of planner is available in them all. The size that I selected, the 5 by 9, has the most options. This one gets a 4 :(. I wish that they had more options in all of the sizes, but the thickness is great! This gets a 5! The plum paper planner is very customizable. I didn’t even customize it as much as I could have! 4.8 points out of 5 is pretty great! My criteria was pretty hard, too. Go buy yourself a Plum Paper planner! Here is the link to their store. Plum Paper is giving C & C readers a 10% off discount of your purchase of $30 or more, so check that out! Thanks for reading! Comment below what planner you’re using! Note: Plum Paper gave me a 15% off discount to blog about my planner. If you click the link above, I will receive $10 in credit. I am in no way trying to hide this from y’all, and it doesn’t make a difference in your shopping experience. Also: If I do for some reason get any referral credit, I will be spending it for a giveaway!